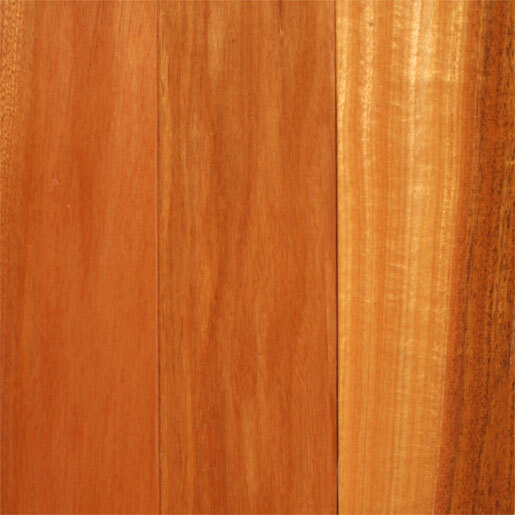 Description: Timborana is a luminous wood filled with creamy yellows and light to medium browns. As the floor ages, reddish tones will develop. Timborana's fine grain makes it highly desirable for furniture designers. Timborana is also a hard and durable wood with a Janka hardness rating of 1570. With its light, clean tones, Timborana is a great choice for both residential and commercial flooring alike. Color: Light reddish brown heartwood and sapwood. Tree Characteristics: The Timborana tree can reach a height of up to 30 feet and a diameter of 3 feet.